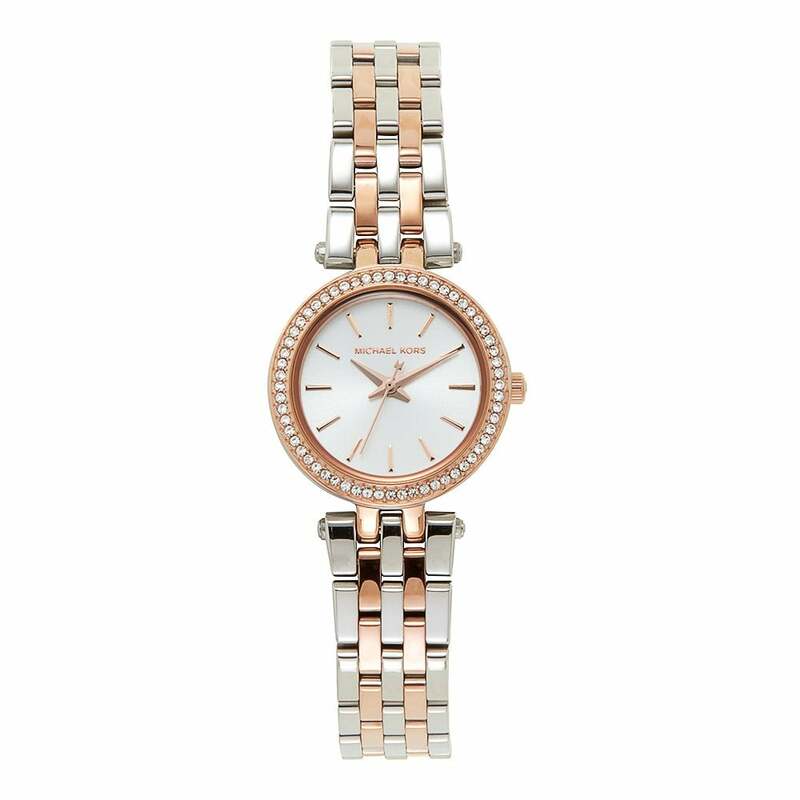 Michael Kors MK3298 Ladies Darci Silver & Rose Gold Watch is a must have ladies fashion watch. This watch comes with stones embedded in the case. This MK3298 comes in an official Michael Kors presentation box with a 2 year Tic Watches warranty.